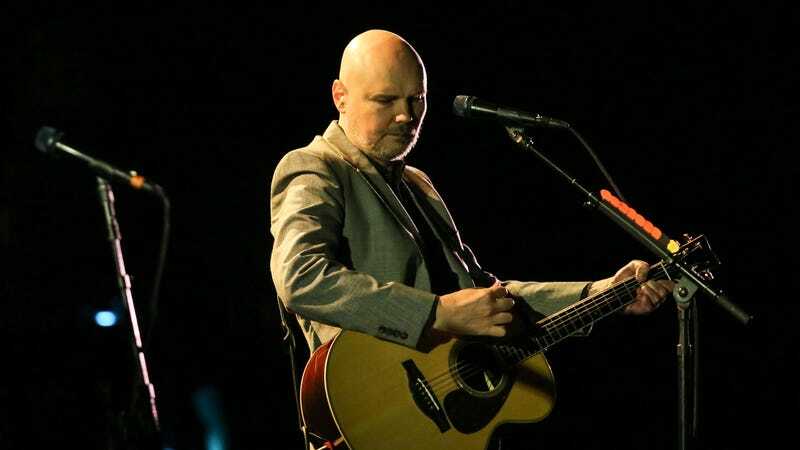 The Smashing Pumpkins are currently gearing up for a big reunion tour (most of them, anyway), one that’s intended, at least in part, to show that decades out of the spotlight have really mellowed and matured its members’ frequently fractious public personas. That “Boy, we were all such crazy kids, huh?” image—which the group pushed hard in a recent New York Times profile—is finding itself a little undercut, though, thanks to the efforts of frontman (and frequent Infowars guest) Billy Corgan, who just can’t seem to stop talking about those damn SJWs and their “Maoist left-leaning groupthink” in interviews. “I’m not going to be defined by other people’s version of the shadow world,” Corgan told reporters, sounding for all the world like an anime supervillain about to unleash a giant psychic monster on Neo-Tokyo. Elsewhere in the piece, he claims that most of the more annoying things he’s said and done over the last 20 years—including, presumably, big chunks of the interview he was giving in that very moment—were part of a deliberate attempt to cultivate a “heel” persona (a la his long-time wrestling obsession and also, apparently, Lou Reed). “It’s sort of funny to me that they actually think I’m that stupid,” he noted of his critics, adding that “80 percent of the things that I get held up and mocked for, I’m doing intentionally.” So just remember, folks: The next time Billy Corgan does something to annoy you, he’s not being inconsiderate or rude; it’s all according to plan.